クラコウ – ヨハネ·パウロ2世国際空港クラクフ - バリツェの近くにあるホテル. 地図 クラコウ, すべてのホテルの写真とレビュー クラコウ. 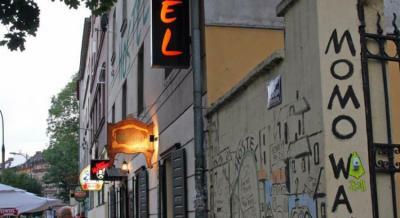 Lorf Hostel & Apartments; is located 800 meters from the Gate of St. Florian. Regional points of interest also include Town Hall Tower and Main Market Square. Jagiellonian University is 1 km away, and the monument to Adam Mickiewicz is 1 km away. Spend your nights in Krakow's Old Town, where countless churches, statues, and mansions stand as testaments to over a thousand years of Polish history. Plus there’s the enormous town square – the largest in Europe. DDD is located on Pedzichow Street, only 10 minutes walk gets you to the main square. 10 mins from the main train & bus station. We are housed in a 19th century, two-story tenement building that has been completely renovated, and is modern and functional. There are a few cafes and restaurants in the local area, along with a supermarket and local market. It is cheap, clean and comfortable. Near to centre, farmers market and some interesting second hand shops. A very good atmosphere with friendly people and helpful staff. 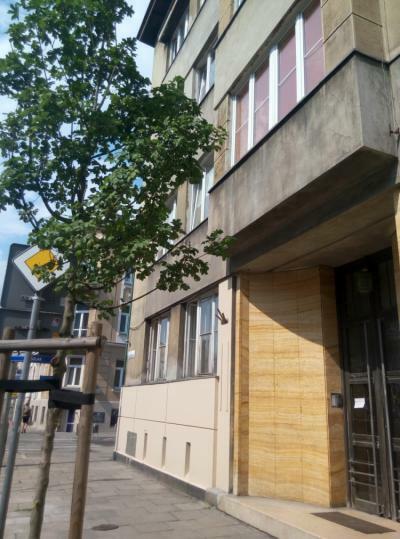 The hostel is 600 m from Kazimierz Jewish District, 1.4 km metres from Galeria Kazimierz Shopping Centre and 1.3 km from Wawel Royal Castle. Kraków Airport can be reached in a 23-min drive. Train station a few stops away or within longer walking distance. Great area for lots of bars and restaurants. Situated a few floors up in a beautiful, old apartment building. A family run hostel, they have a kitchen for you to use. 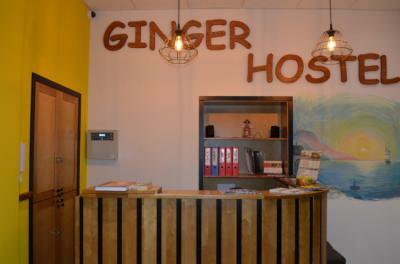 The accommodation is affordable and the reception is friendly. The hostel offers free tea and coffee and wifi was stable. Located near the old town the staff was friendly. 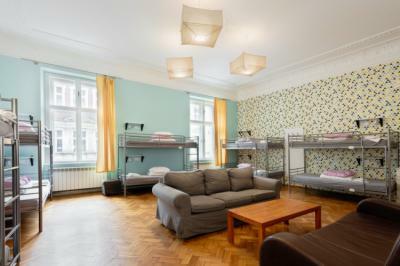 This hostel is close to Wawel. I like this hostel because it has clean dorms and I felt safe. We are a new, comfortable Hostel. We offer cheap and comfortable accommodation a few steps from the Main Square and the Main Railway Station. There are numbers of restaurants and bars nearby. The most charming part of Kraków (Kazimierz - Jewish Quarter) is less than a kilometer away from our property. The staff welcomed us early in the morning, even if the check-in was later. It was possible to leave our luggage, and they advise us some places to go. The staff was also really friendly, smiling and accommodating and made our stay very pleasant. The breakfast was very good and complète. The room was clean and bright. The bathroom was clean too and practical. We enjoyed our stay here. Do not hesitate to go there ! 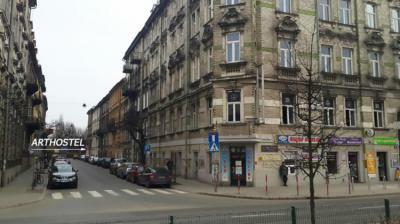 Location of TARA Hostel allows you to reach all the major sights of Krakow on foot. Only 1300m to the Main Market Square, 750m to Wawel Castle or 200 m to the famous and delicious Zapiekanki. 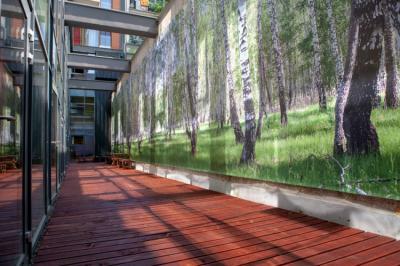 Our location is perfect for people who want to explore as much as possible while limiting the driving public transport. Restaurants and bars are also easy reachable. At every street in the heart of Kazimierz, you will find many places where you can eat good dishes or just hang out. 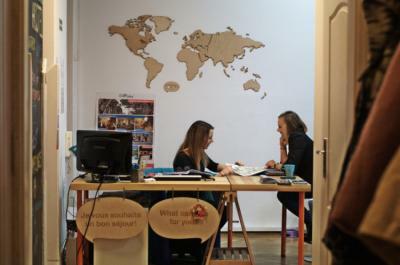 Location is more than perfect within Krakow, and the staff is friendly and helpful.